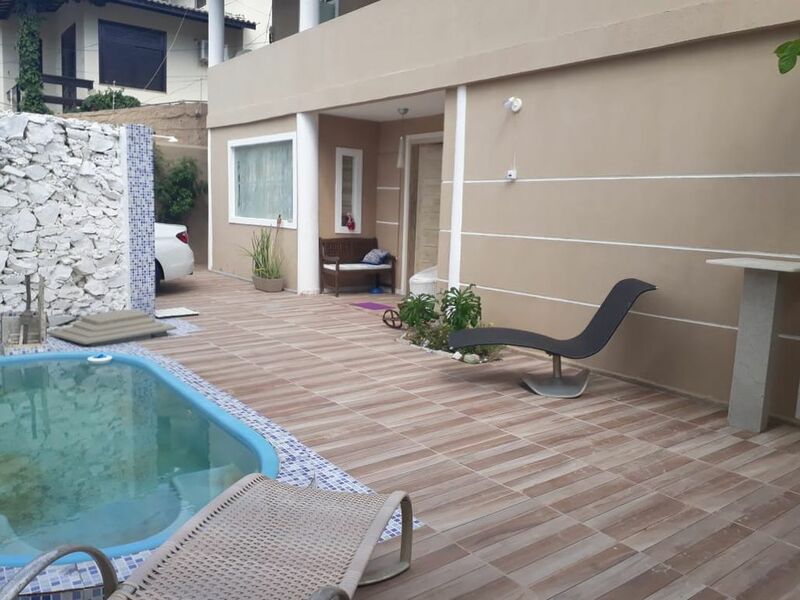 House in front of the beach of Vilas do Atlântico with 3 bedrooms, 2 suites with double bed and air conditioning. The outdoor area has swimming pool, garage and barbecue. Conceived in the 1970s by the construction company Odebretch, Vilas do Atlântico was the first planned community in Bahia. Inspired by European villages, it was seen as a "condominium" for summer resort of the middle and upper-middle classes. Slowly Vilas became residential and nowadays is one of the most important districts of the North Coast possessing diverse services like Hospitals, aesthetic clinics, schools, bars, restaurants, petshops, clubs of equestrian and tennis, colleges. The real estate market of Vilas do Atlântico continues in high growth making the neighborhood a great option of housing and investment. Visit Vilas do Atlântico! Vilas do Atlântico is a region in the municipality of Lauro de Freitas. It is the name of one of the three beaches of the municipality, name of a neighborhood that is in the same place, and within the neighborhood there are schools, equestrian clubs, supermarkets, shopping centers, gas stations, restaurants, companies, etc. The location is approximately 5 km from Salvador International Airport (approximately 10 minutes by car) and approximately 25 km from Salvador Bus Station (approximately 30 minutes by car.